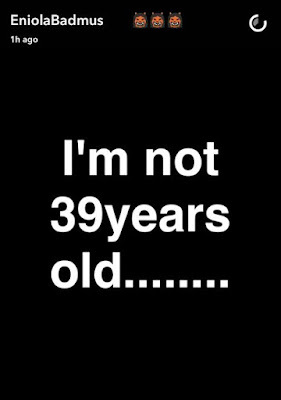 According to the popular actress, she's 33 years old and not 39 as most media outlets claimed when she celebrated her birthday some days ago. 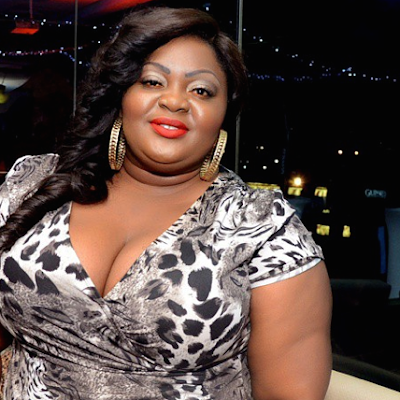 Eniola Badmus's Wikipedia page bold says she is 39 which is where most media outlets obviously got their claim from. Like they say, the Internet never forgets; it may also interest you to know that, in 2013 (just three years ago), Eniola Badmus told everyone that she was 26 Years old! Back then in 2013, Eniola had an intimate chat session with her fans on twitter where she shared some ‘private’ information. She told her fans on Twitter; "Ask me anything….will give you the answer straight up". In response to one of the questions that followed, the actress revealed she was 26 years old. 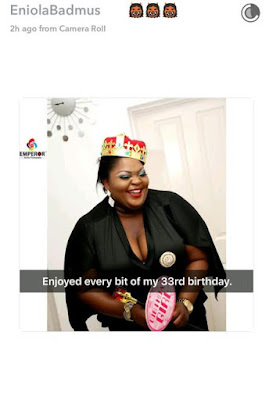 Enter 2016, Eniola is now claiming to be 33.The question is how did she get to move from 26 Years to 33 Years (7 years older) in just three years? Hmm, this actress can lie!